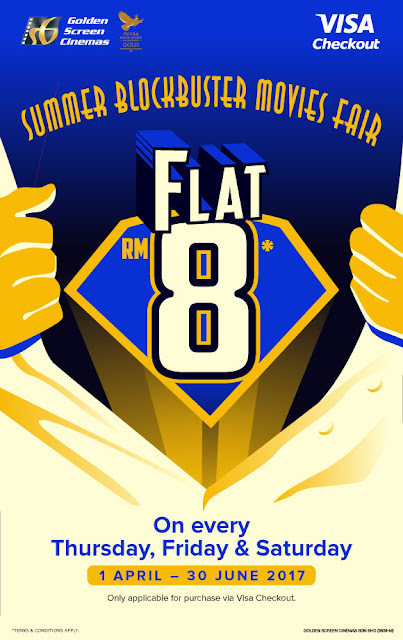 Flat RM8 Normal 2D Adult Movie Ticket for Visa Checkout Every Thursday, Friday & Saturday. Transaction day MUST be the same as movie screening day. 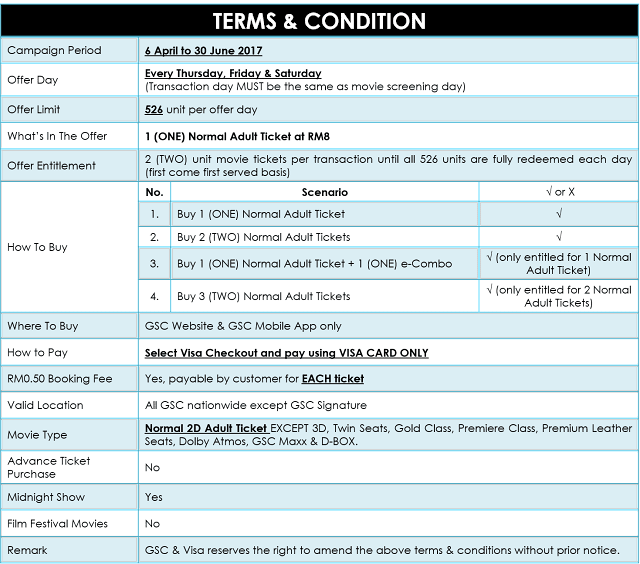 Maximum 2 unit movie tickets per transaction until all 526 units are fully redeemed each day (first come first served basis). 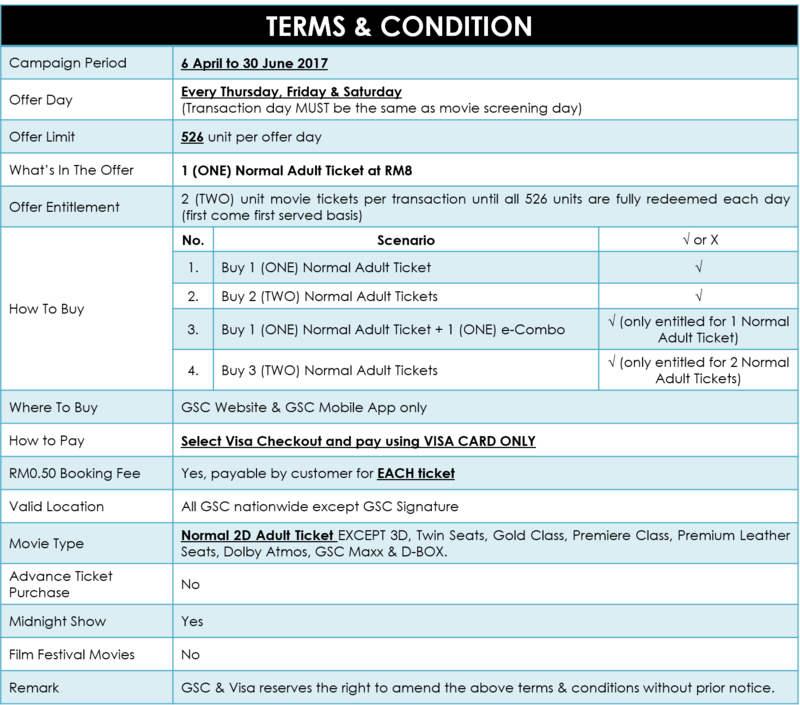 Valid on GSC Website & GSC Mobile App only.